The Montreal Canadiens travel to Capital One Arena to play the Washington Capitals on Saturday, October 7, 2017. The opening line for this game has the Canadiens at +130 and the Capitals at -160. Montreal had a record of 47-26-9 last season and on the road they had a record of 23-14-4. They finished 1st in the Atlantic Division. They scored 226 goals and gave up 200 goals for a point differential of +26. For the season they had an ATS record of 49-39-0 and an over/under record of 31-42-0. Washington finished with a record of 55-19-8 including 32-7-2 at home last season. They were 1st in the Metropolitan Division. They scored 263 goals and surrendered 182 for a goal differential of +81. Their record against the spread was 62-33-0 while their over/under record was 43-38-0. Carey Price had 37 wins and 20 losses last season in net for the Canadiens. He had 1,794 shots against him and he gave up 138 goals. He made 1,656 saves for a save percentage of 92%. Max Pacioretty accumulated 67 total points last season for the Canadiens. He had 35 goals last year with 268 shots on goal giving him a shooting percentage of 13%. He had a total of 32 assists on the season and averaged 19.2 minutes played per game. Jonathan Drouin averaged 17.7 minutes of ice time per game last year. In that time he had a shooting percentage of 12% by scoring 21 goals on 177 shots. He had 32 assists giving him a total of 53 points on the season. Nicklas Backstrom scored 85 total points last year for the Capitals. He had 23 goals last season with 160 shots on goal giving him a shooting percentage of 14%. He had a total of 62 assists on the season and averaged 18.3 minutes played per game. Braden Holtby had 42 wins and 13 losses last year in goal for the Capitals. He had 1,690 shots against him and he surrendered 127 goals. He made 1,563 saves for a save percentage of 93%. 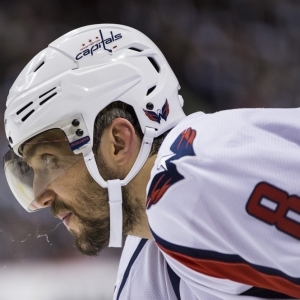 Alex Ovechkin averaged 18.4 minutes of ice time per game. In that time he had a shooting percentage of 11% by scoring 33 goals on 305 shots. He had 35 assists giving him a total of 68 points on the season. The Canadiens allowed 249 power play opportunities and gave up 47 goals on those chances for a penalty kill percentage of 81% last year. That was 14th in the NHL. They averaged 30 shots per game and as a team shot 9.19% for the season. They allowed 30 shots to their opposition per contest and had a team save percentage of 92%, which was ranked 6th in the league. The Canadiens had 103 total points last season, ranking 8th in the NHL in offense. They were 16th in the league with 226 goals while giving up 200 goals, which was 28th overall. They had 230 power play opportunities and scored 45 goals on those chances for a percentage of 20%. That was 13th in the NHL. As a team, the Capitals were 3rd with 263 goals scored while they were 30th in the NHL with 182 goals allowed last year. They averaged 30 shots per contest and had a team shooting percentage of 10.54%. They gave up 28 shots per game and had a save percentage of 92%, putting them in 2nd place in the league. The Capitals had a total of 118 points last year, which was 1st in the NHL. They had 57 power play goals on 248 opportunities for a percentage of 23%. That ranked their power play unit 4th. They allowed 272 power play opportunities and gave up 44 goals on those chances for a penalty kill percentage of 84%, which was 7th overall. Montreal was 6th in the NHL in Corsi percentage last year with 51.3%, as they attempted 4,721 shots on net at full strength while they gave up 4,484 shots on net in the same situations. Their Fenwick percentage was 51.3% as they had 3,448 attempts while they gave up 3,271 shots on the defensive end. That ranked them 10th in the league. The Canadiens started possessions in the offensive zone 48.7% of the time, which was 26th in the league, while their defensive zone percentage was at 51.3% for the season. That was 9th overall in the NHL. They had 2,516 face-off wins compared to 2,483 losses, meaning their face-off win percentage was 50.3%. That ranked them 14th in the league. On defense Montreal had 1,864 hits and they blocked 1,213 shots from the opposition, putting them 11th overall. Who will win tonight's Canadiens/Capitals NHL game against the spread?